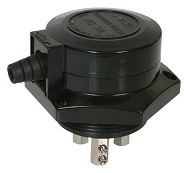 Electrode water level sensor is also known as a “Conductivity Level Sensors”. Electrode sensor basically requires a physical contact with the water to detect the water level. The water act as a resistance. Small electronic current will be passing through the water which helps the sensor to sense the water level. For this reason, not all liquid can use this sensor for detection. One example is the oil, which has an insulating property in nature. If you need to measure the level of a non-conducting liquid, consider using an ultrasonic water level sensor. For a typical water tank or rain water level detection, the electrode sensor is an affordable and a commonly used method to detect the amount of water in a tank compared to other water level sensing method. An electrode sensing needs at least two contact point to function. For electrode with only a single probe, the other end of the sensor wire will be connected to a metallic tank (usually of stainless steel material). The metallic tank will act as the second probe. If the tank is not metal, or you do not want to connect the sensor wire to your tank, you can use a two probe electrode. For multiple water level detection, you will need more probes. You can place up to a maximum of 5x probe for 3-4 water level detection. If you need to differential more water levels, you may like to consider using an ultrasonic water level sensor which can provide a higher resolution of detecting the water level. Available models for a different number of probes. 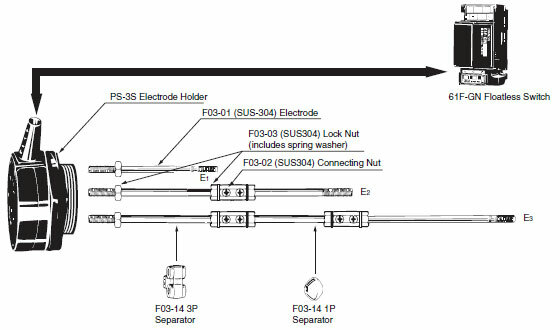 Electrode sensor rod can get worn off after a period of operation. The electrode can be replaced. You can send in photos of your electrode and its holder for a quotation on a replacement. Please provide us with the size/length of the electrode and also the type of liquid you are using the electrode for. Please also note that when your electrode sensor is not working, there may also be a chance that the electronic sensing system is faulty. Do check if the sensing electronic system is in good working condition before proceeding to change the electrode. Click here to check out this page for more water level sensing technologies, or this page to compare other water sensing technologies.